I’ve written a lot over the years about how to travel with a baby. 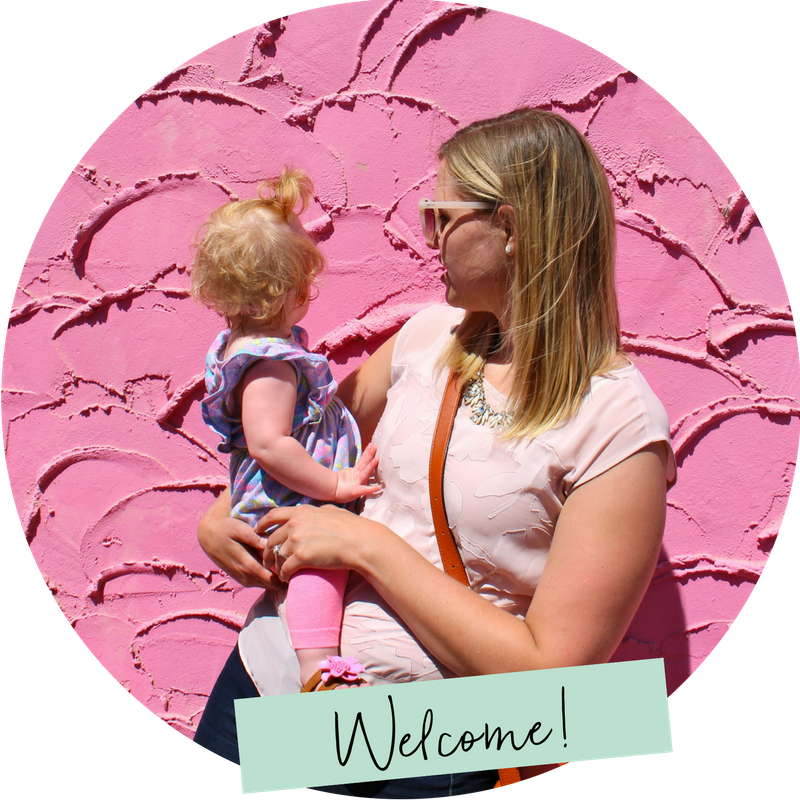 Between leaping head first into baby travel when Evelyn was 5 weeks old, to taking our special needs baby Sophie on several long-term trips around the country, we’re pretty well-acquainted with the world of travel with a baby by now. Truthfully, traveling with a baby is not all that bad. But it does require a ton of preparation for all the things that you might possibly need. We’ve covered what to pack in your carry on before, along with everything you need to know before flying with a baby. I’ve even shared our favorite baby travel gear and travel-friendly toys. But one thing I haven’t covered? A comprehensive, everything-you-must-pack guide to make the whole trip with baby go extra smoothly! We were reminded of just how much stuff one little human can require as we prepared for our month-long adventure around Southern California. Our packing list felt endless. And I can say pretty confidently that we left nothing behind. So let me spare you the stress of wondering “what am I forgetting”? Note: This post contains affiliate links which may reward us with a small commission if you click them. Thanks for supporting the blog in this way! First things first, the big stuff! Baby Carrier | A baby carrier is a must, even if it’s nothing more than an efficient way to move through the airport. I know not all kiddos love the carrier, but we find that having both a carrier and stroller available when we travel with Sophie is essential. You just never know when you’ll run into a place with lots of stairs or uneven sidwalks, so it’s good to have a back up that will keep you moving freely. For infants, we really love the ErgoBaby, but as babies get older (and bigger), you might consider moving towards a carrier that’s a bit more lightweight and comfact like the MiaMily. Still on the fence? Read up and compare all of our favorite carriers for babies and toddlers here. Car Seat | Depending on where you’re going, you may or may not want to bring the car seat. If you will need one, the Maxi Cosi and Nuna Pipa are two that can adapt to the YOYO+ (just get some adapters like these, and you’re good to go!). For older babies, a popular choice is the Cosco Scenera Next, which is super lightweight at just 10 pounds. If you’re bringing your car seat from home, I recommend a good car seat bag to keep it clean, and if you’re worried about it getting banged up, you can buy a padded one like this. Travel Crib | We’ve always brought our own travel crib, mostly because I want our kids to feel the comfort of the same crib no matter where we are. We’ve been especially happy with our Baby Bjorn Travel Crib, which has held up with our travels all over the country these past 4 years. If you’re in a pinch, most family-friendly hotels will offer cribs for free, or you can rent one from a baby gear rental company, like BabyQuip. Read up on all our favorite baby travel cribs here. Sure, babies require a lot of stuff to pack, but the one area where they don’t take up much space in the suitcase: clothes! Pants & Leggings | Usually 2-3 pairs. In colder months I’ll skip the rompers and dresses, and add more leggings, pants and sweaters. Shirts & Onesies | Usually 2-3 tops, adding 2-3 more in winter months. Dresses or Rompers | Usually 2-3 for warmer destinations, because they’re so easy to pack and don’t require mixing and matching tops and bottoms. Socks | 2-3 pairs, even in the summer months in case we end up somewhere chilly. Booties or Shoes | I’ve recently become obsessed with little baby shoes, but I try to stick to one simple pair of baby moccs that match everything for travel, like these from BirdRock Baby. Hat | A must, no matter where you’re traveling. A sun hat for the spring and winter, and a fuzzy hat for the fall and winter. Pajamas | I stick to just 2 pairs of footie pajamas (plus a 3rd pair worn on our travel day). This might not seem like a lot of clothes, especially if you’re traveling for a week or more, but instead of packing for every day we’re gone, we make sure we have access to laundry while we travel (typically this means booking an Airbnb with a washing machine). That way we can refresh and re-wear all of our favorites for as long as we need! Bottles | We’ve always traveled with just two and been fine. Tommee Tippee and Dr. Brown’s are our favorites. Drying Rack | I love our travel drying rack from OXO; it’s come in handy more times than I can count! We also have a larger version of this Boon travel drying rack at home, so I’d highly recommend either. If you don’t want to shell out for a drying rack, at the very least bring your own bottle brush! Dish Soap | Never fails, I always forget dish soap! If you’re staying in an Airbnb, there’s no need to bring your own (unless you’re particular about what you use). But if you’re stay in a hotel, for sure pack this little travel-size one for washing bottles! Nursing Cover | There’s a good chance you’ll have little privacy for nursing during travels, and at the very least a cover-up can help with getting little ones to fall asleep in busy places. Cooler Bag | We love a little cooler bag like this one with a couple of skinny ice packs, or if you need room for more bottles, this Medela one is great too. Formula Dispenser | For babies on a formula-fed diet, this little guy makes mixing bottles on the go so much easier. Tall Insulated Mug | This simple, yet useful item has served many purposes for us over the years. We’ve used it as a bottle warmer (have your airport coffee shop fill it with piping hot water! ), or as a way to keep water warm on the ready for mixing Sophie’s special formula. Wipe-Clean Bib | Once baby is into solids, an easy-to-clean bib like this one is awesome for on-the-go feedings. Travel Spoon | Our favorite is still this one that comes with a little case for easy storage! Snack Catcher | This travel container is perfect for little cereals you don’t want spilled all over. Squeeze Pouch Baby Food | If you’re feeding while traveling, skip the mess and do it in pouch form! Sippy Cup | We’ve tried many of the years and never really found one we totally loved, but these and these are up there on our list. Bottles Wipes | It’s tough to clean bottles, pacifiers, and spoons when flying, so these bottle wipes are a safe and simple back up way to do it. Travel High Chair | If you have the space for it, I can’t recommend this travel high chair enough. You could also opt for a fabric version like this if you need something lighter and more compact. Diapers | My rule of thumb is to pack 8 diapers (give or take, depending on how long our travel day is) and then buy more as soon as we arrive. Travel Wipes Case | This no-frills travel case has been my favorite over the years. Like diapers, I load it up with what we’ll need for the day and buy more after we arrive. Baby First Aid Kit | I have a super no-frills kit that includes only the basics, like travel-size diaper rash cream, infant pain reliever, a few bandages, a small thermometer, nail clipper, etc. For all those other “what if’s?”, I’ll buy it at our destination if it’s truly needed. Prescription Medicines | Keep things in their original container to avoid any mishaps, and for anything needing kept cold, we use our bottle cooler bag and a few ice packs. Lotion | Travel size, of course! Sunscreen | These sunscreen sticks are my favorite because they’re easy to apply and take up so much less space. Mosquito Repellent | This natural one is our favorite. No chemicals or stink! Antibacterial Wipes | Especially good for wiping down a dirty airplane seat. I always keep a small travel-size pack in the diaper backpack. Hand Sanitizer | This one’s really for Mom, but I thought worth a mention. Baby Shampoo & Body Wash | This 2-in-1 is our current favorite, kept in a tiny Gotoob container. Brush or Comb | Of course. Inflatable Travel Tub | And finally, I’m adding this one to our list because we just used it for 30 days straight in Southern California and it was so so handy! Definitely worth the purchase if you don’t have access to a tub or your baby is not yet big enough to sit on their own. Play Mat | We’ve stay in lots of Airbnbs with hardwood floors and little comfortable space for baby to play, so bringing a play mat is a new top item on my packing list. Best of all, it takes up very little space in a suitcase when folded on top. Small Toys | I try to keep toys to a minimum, mostly because when you’re traveling, you’re out and about a lot anyways. Sassy brand is my new favorite for baby toys, and I keep a little collection in one of these mesh storage bags for easy packing. Pacifiers & Pacifier Clips | We find these pacifiers with these clips work great! Crib Sheet | Whether you bring your own travel crib or use the hotels, we like to have our own crib sheet. This one designed for portable cribs has traveled with us again and again. White Noise Machine | We love our Shusher so much. So after Evelyn wore the first one out, we had to buy another for Sophie. It’s expensive, but worth every penny! I swear it’s played a big role in helping our kiddos easily fall asleep in all kinds of new places. Diaper Backpack | A good diaper bag is essential, and I can’t recommend going with a backpack style enough! Having your hands free, especially in airports, is a real game changer. I recently upgraded to this one from Freshly Picked and am loving it! Birth Certificate or Passport | Did you know some airlines require you to show a birth certificate for your lap baby? To be safe, I always carry a copy in my wallet. And if you’re going international, make sure you have your passport for baby too! Dropper Stopper | From toys, to bottles, to snack cups, this is our favorite way to keep all of our baby essentials from landing on the nasty airplane floor. Plastic Storage Bags | Whether one-time use, or an eco-friendly reusable, we find we’re always having a need for the modest plastic storage bag. Whether for dirty clothes from a vomit incident, leftover snacks needing a home, or tickets and keepsakes you want to keep safe, we always find a use for these, one way or another. Free Printable Checklist: Baby Travel Packing List! It doesn’t matter how many times we’ve travelled with a baby, I’m always bound to forget something if I don’t make a list! So I’ve created our very own baby travel packing list that we use for each and every trip, and now you can steal it for yourself! Find it in our free resource library, along with tons of other printable family travel planning tools available exclusively for email subscribers. What are your must-have packing list items when traveling with baby?